Professor Larry Forbes is an Applied Mathematician in the School of Mathematics and Physics. His training and major interests are in the field of fluid dynamics, in which mathematics is used to model how fluid flows in situations of interest. He has worked on ship hydrodynamics, shock waves in gases, and outflows from underwater explosions or stars. Most recently, he has proposed a model of fluid turbulence. He has also worked on the design of magnetic and radiofrequency coils used in magnetic resonance imaging (MRI) machines in hospitals. Other research interests include modelling of disease spread and the behaviour of complex chemical reaction systems. Larry obtained his Ph.D. from the University of Adelaide, where his work on fluid flow over submerged obstacles was supervised by Len Schwartz (now at U. Delaware) and the late Ernie Tuck. Afterwards, he was a research scientist at Material Research Laboratories in Melbourne, studying the propagation of laser beams through the atmosphere. He then had a postdoctoral position at the University of Iowa (USA), followed by an Assistant Professorship at Kansas State University (USA). He returned to Australia in 1985, taking a lectureship in Mathematics at the University of Queensland, where he stayed for 15 years, eventually obtaining the rank of Associate Professor. 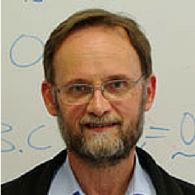 In January 2000 he took up the Chair of Applied Mathematics at the University of Tasmania. He has supervised a number of postdoctoral associates and Ph.D. students in on topics including fluid mechanics, MRI coil design, gravitational microlensing, and meteorology. Two of his former Honours students obtained Rhodes Scholarships to study at the University of Oxford, and a third obtained a British Government scholarship to study there too. 2001 - 2008: Head of School of Mathematics and Physics, UTAS. 2014 – 2015: Chair of ANZIAM (Australian & New Zealand Industrial & Applied Mathematical) Society. 2014 (November): Talk on Modelling Fluid Turbulence at the University of Oxford, UK. Larry's research aligns most closely to the University's theme area: Data, Knowledge and Decisions, although it also involves the study of topics related to the Environment and Marine Systems. His major research interest focusses on how fluid flows, in a number of different situations of practical interest. These include flows around ships, in which the waves behind the moving ship form a famous V-shaped pattern, with fascinating mathematical and physical properties. Other fluid flows involve understanding how water is removed from a reservoir or dam through a narrow pipe; this is a challenging mathematical problem and is also important for managing town water supplies. This is a long-standing research project with Professors Graeme Hocking from Western Australia and Tim Stokes from New Zealand. A related problem is the study of groundwater flows, and some that are relevant to mineral-leaching technology have been investigated. The flow of fluid in meteorological applications is also of interest, and in addition, a number of stellar outflow situations are being modelled. This has led to the surprising discovery that, mathematically, simple outflows from stars are most likely to occur as one-sided jets, and an on-going research project is therefore to understand the situations in which outflows might also form bipolar (two-sided) shapes. Recently, a focus of this fluid mechanical work has been in attempting to model the famously difficult phenomenon of fluid turbulence; while everyone knows what it is, it has so far remained elusive to a straightforward mathematical and physical description. One of the pleasures of studying Mathematics is that it is often the case that very different situations are sometimes nevertheless described by very similar mathematics, and this has allowed parallel research activities in a number of other areas. These include the design of MRI equipment (including patents), the study of nonlinear chemical combustion reactions, and the modelling of disease spread in populations. Larry Forbes has on-going research collaboration with Professors Graeme Hocking at Murdoch University and Tim Stokes at the University of Waikato, New Zealand, to study fluid withdrawal problems in reservoirs and dams. He also collaborates with Professor Stuart Crozier, University of Queensland, to design radiofrequency and gradient coils in MRI technology. Larry currently has about 170 published papers in refereed journals, and two World-wide patents. These cover the research interests listed above. He is also an Associate Editor of the ANZIAM Journal (Cambridge University Press) and the Journal of Engineering Mathematics (Springer). Larry has held 9 ARC Large/Discovery grants over the period 1996 – present, and two ARC Linkage grants related to the development of radio- and optical-astronomical infrastructure at the University of Tasmania. This project studies how fluid flows out from a small concentrated object into a second surrounding fluid. New solution methods will be provided, and new results about how these fluid flows evolve will be obtained. These are important problems with significance in modelling underwater explosions. They are also important in astrophysics, and will help to explain the shapes of outflows from some stars or galaxies. The outcomes of the project will be a deeper mathematical understanding of which outflow shapes are stable, and under what circumstances they might become unstable. This will provide valuable information about galaxy shapes, and a new suite of computational methods for solving such problems. Modern astrophysics is reliant on technology to monitor time-variable phenomena on scales from minutes to years for millions of stars. We are building a state of the art 1.3m optical telescope in central Tasmania, to be fully remotely-operable and furnished with a high-resolution wide-field camera and a powerful spectrograph. This will be a powerful and versatile tool for astrophysics. It will significantly advance studies of the frequency of Earth-like planets around other stars, and a wide range of planetary and stellar astrophysics questions including the variability of stars like the Sun. The new telescope will support dozens of astronomers who will use it for the equivalent of over 100 nights per year. This project will develop new methods for solving tree-surface problems in fluid mechanics. It will focus on the effects of viscosity, and the relationship to models in which viscosity is ignored. By studying four important free-surface flow types, the project will answer key questions about the role of viscosity in surface overturning and fluid mixing. The project will provide a suite of new mathematical techniques for solving a broad class of viscous and non-viscous fluid problems involving tree surfaces, consolidating Australia's strong research record in this field. Larry has supervised 13 Ph.D. students and 2 Masters' degree students (by research) to the successful completions of their degrees, and has assisted in the supervision of several others.